#9 - John Tavener Towards Silence, the Medici, Finzi, Cavaleri and Fifth Quadrant Quartets and Louisa Golden. - while two more chart artists, André Rieu (#1) and Eric Whitacre (#7), have appeared in related articles. Nothing in the universe can resist the cumulative ardour of a sufficiently large number of enlightened minds working together in organised groups. In support of their notorious but fascinating views on the power of the collective consciousness Pauwels and Bergier cite names that have appeared on recent paths including Sri Aubindo, René Guenon, G.I. Gurdjieff and the French philosopher and Jesuit priest Teilhard de Chardin (1881-1955) . 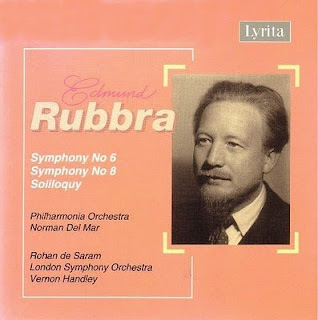 The Eighth Symphony of Edmund Rubbra is subtitled Hommage à Teilhard de Chardin. Could mass singing and chanting by Overgrown Path readers now levitate Norman del Mar's magnificent Lyrita recording of Edmund Rubbra's Symphonies Sixth and Eighth Symphonies into the upper reaches of the specialist classical chart? Schroeder-Sheker explains that the vocal and harp music offered is never the same, even if people are dying of the same disease. The prescriptive music is designed in the moment to match the dynamic physiological changes taking place in the patient's nervous, respiratory, circulatory, and metabolic systems. It is always delivered live, because it is made specifically appropriate to the changing physical, emotional, and spiritual state of the one who is dying. Which sounds like a pretty good definition of transmission to me. Away from palliative care there are many other examples of classical music enhancing well-being. For instance the Mantra Mountain project shows how music can beneficially harness the collective consciousness. Read more here. * Quote about Therese Schroeder-Sheker's work with music thanatology comes from The Benedictine Gift to Music by Katharine Le Mée (ISBN 0809141787) Also recommended is Chant: The Origins, Form, Practice, and Healing Power of Gregorian Chant by the same author. And to show there is nothing new under the sun searching those last links revealed a forgotten post here on exactly the same subject six years ago. As you might imagine, this post really struck a chord with me, even before the very pleasant surprise there at the end(!). 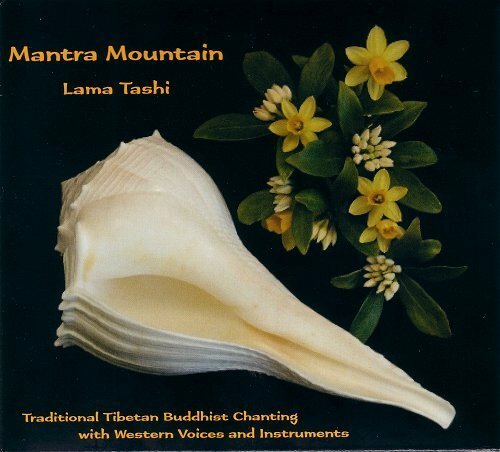 Synchronicity being what it is, just got off the phone with Lama Tashi in Arunachal and he's doing well. Another Jungian term you hint at with your title being so close to his "collective unconscious" is archetype. My feeling is that great music which is widely appreciated must somehow evoke something archetypal in most listeners. I'm convinced of that in the non-classical folk realm in the case of minor blues tunes like "House of the Rising Sun", and "St. James Infirmary Blues", because performing those songs nearly always elicits a noticeably deep response from some listeners. Your link to that old BBC story on the benefits of live music reminds me there hasn't been any follow up on that so far as I know. One music therapy principle connected with your idea of transmission is that the first step is to play music which engages the client, which matches his/her mood as precisely as possible. Then once the connection (empathetic transmission?) is made, the therapist can use that connection to help the client get to different places. My sense is that a lot of classical musicians present their work as take it or leave it. For them the canon trumps all, whereas for the therapist connection/transmission trumps all. Thanks so very much for putting music therapy in such a fine light for your very high level readership. I'm sort of peripherally aware of Charles Fort because the Boing Boing folks regularly post on "Fortean" events and people. By the way, two points on that post on esoteric networks. W.B. Yeats was involved with the Golden Dawn folks if my memory serves. The other thing is that over the years I've often been struck by how so many movements seem to start with just a few people, but have wide cultural effects, the Golden Dawn ferment being just one example. 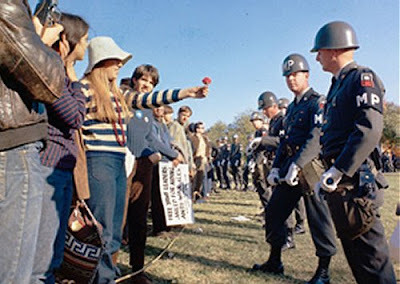 Back in the 60's there was a book called Anatomy of Revolution and one of the prerequisites was that the idea of revolution had to be "in the air". Maybe part of what lets "transmission" work is that both the idea of transmission is "in the air", and that there is something more specific "in the air" that wants transmitting. I do like where this conversation is going. "Nothing in the universe can resist the cumulative ardour of a sufficiently large number of enlightened minds working together in organised groups," is easily a description of the atTUNEment described by both Teilhard de Chardin and the Sun Ra who wanted (and tried many times) to assemble an orchestra of thousands of players to bring about a global shift. As his successor Marsall Allen puts it, "If you want a better world, you need a better music," which is pre-echoed in the mix by Plato's observation, "Any musical innovation is full of danger to the whole State, and ought to be prohibited. ... when modes of music change, the fundamental laws of the State always change with them." And as Lyle rightly notes, we need some caution with our blog-post title assertion, again, to cite Sun Ra, "The Known has failed to save us, therefore only the Unknown can save us," only a new kind of music that is yet to be but to which all these other time-honed Change-Musics are transmitted generation to generation in our quest to find it. The music we call Classical is no better positioned as a root of that Music To Be, it is only and simply just another Ethno-musicology; the important and salient point being that, as this new global-we, omni-connected and sharing of all our tribal trad knowledges (such as the Classical Music Tradition) we can now glimpse a pan-human musicology laying hidden and as-yet unarticulated by our various tone sciences.